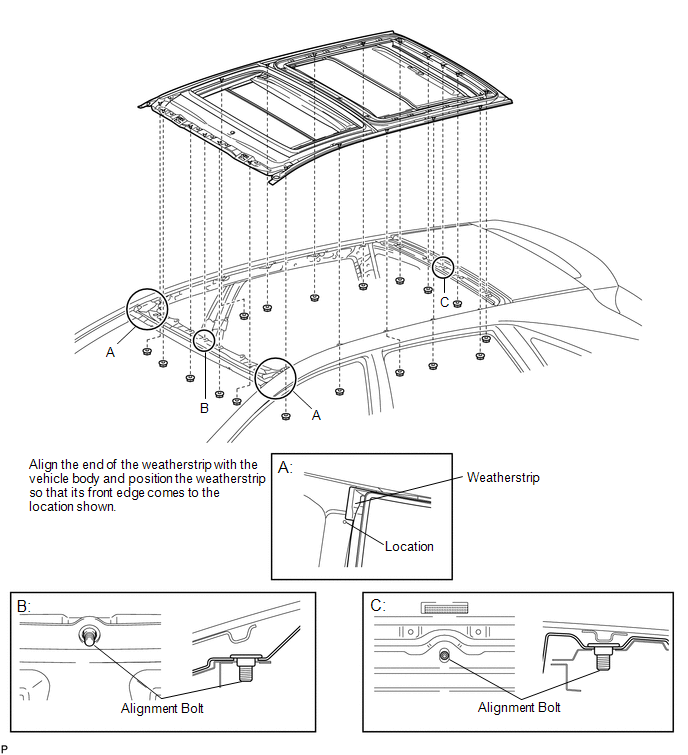 (a) Temporarily install the sliding roof housing panel with the 18 nuts. 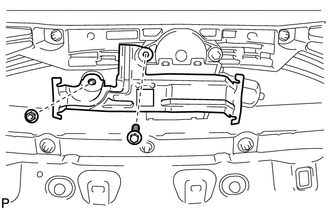 When installing the housing to the vehicle, first install the housing center front and center rear alignment bolts to the vehicle front and rear alignment bolt installation points, as shown in the illustration. 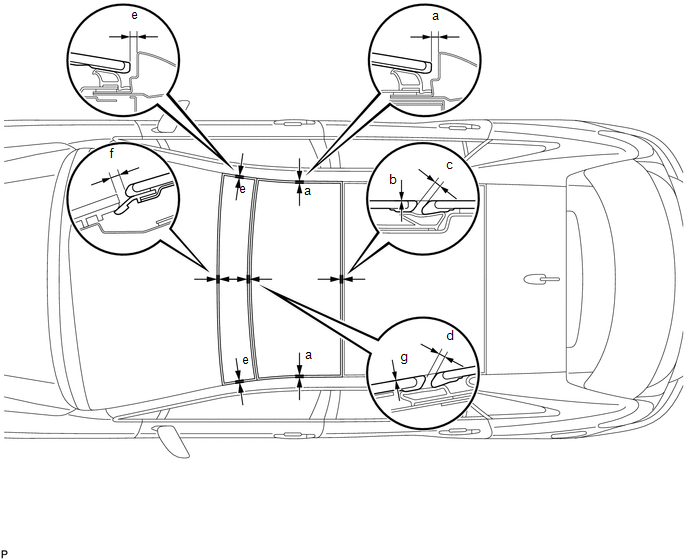 Align the end of the weatherstrip with the vehicle body and position the weatherstrip so that its front edge comes to the location shown in the following illustration. When installing the housing, be careful not to damage the vehicle. (b) Check that the alignment bolts are firmly installed. When the bolts are not firmly installed, water leaks and malfunctions will occur. (a) Install the No. 3 sliding roof glass sub-assembly with the 20 nuts. 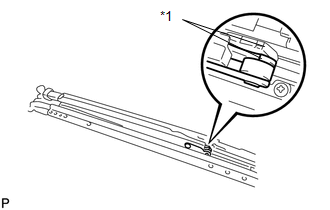 (a) The sliding roof glass does not have adjusting screws. Instead, change the position of the No. 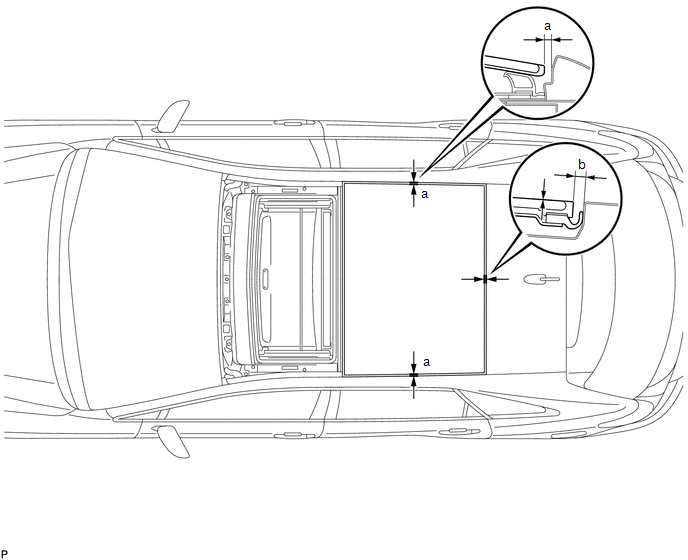 3 sliding roof glass sub-assembly so that the measurements are within the standard values shown in the table below. (b) After adjusting the No. 3 sliding roof glass sub-assembly, fully tighten the 18 nuts to install the sliding roof housing panel. (a) Install the rear sliding roof housing mounting bracket LH with the bolt and nut. 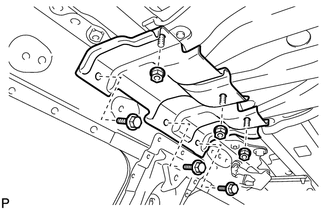 (a) Install the center sliding roof housing mounting bracket LH with the 3 bolts and 3 nuts. 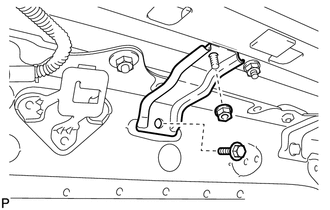 (a) Install the front sliding roof housing mounting bracket LH with the 2 bolts and 2 nuts. 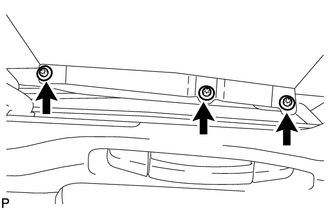 (a) Using a screwdriver, slide the sliding roof drive cable to align the matchmarks. 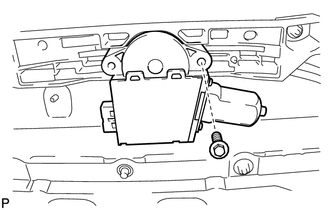 (a) Install the sliding roof drive gear sub-assembly with the bolt. (b) Install the room light bracket with the bolt and nut. (a) Using a T25 "TORX" socket wrench, temporarily install the No. 2 sliding roof glass sub-assembly with the 3 screws. (b) Using a T20 "TORX" socket wrench, temporarily install the No. 1 sliding roof glass sub-assembly with the 6 screws. (1) Adjust the position of the No. 2 sliding roof glass sub-assembly so that the measurements are within the standard values shown in the table below. (2) After adjusting the No. 2 sliding roof glass sub-assembly, using a T25 "TORX" socket wrench, fully tighten the 6 screws to install the No. 2 sliding roof glass sub-assembly. (1) Adjust the position of the No. 1 sliding roof glass sub-assembly so that the measurements are within the standard values shown in the table below. (2) After adjusting the No. 1 sliding roof glass sub-assembly, using a T20 "TORX" socket wrench, fully tighten the 6 screws to install the No. 1 sliding roof glass sub-assembly. 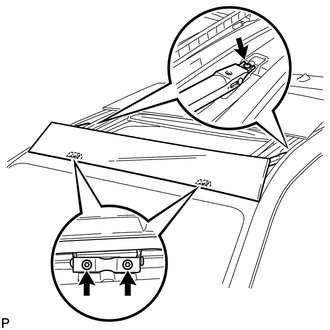 (a) Temporarily install the sliding roof side garnish LH as shown in the illustration. 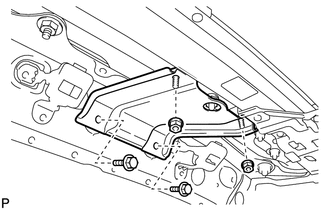 (b) Using a T20 "TORX" socket wrench, install the sliding roof side garnish LH with the screw. 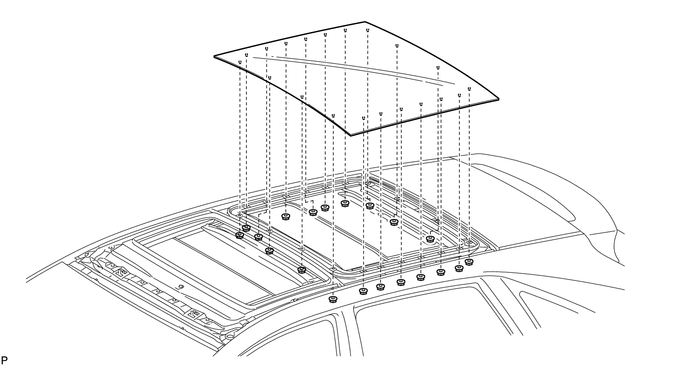 (a) After adjusting the sliding roof glass sub-assembly, check for water leakage into the vehicle interior. 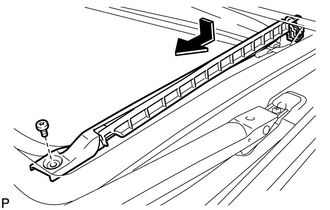 (b) If there are any leaks, readjust the sliding roof glass sub-assembly.